Nearly 40 years ago, a Kenyan father was visiting his son in Hawaii and took him to his first jazz concert. The boy was Barack Obama and the performer was jazz great Dave Brubeck. Obama greeted Brubeck at the White House on the musician's 89th birthday. 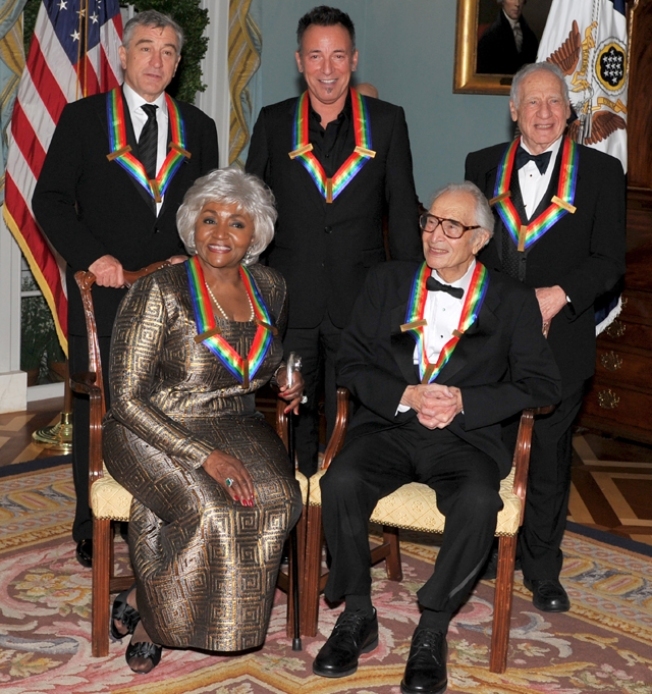 The musician was lauded with the Kennedy Center Honors, along with rocker Bruce Springsteen, actor Robert De Niro, comic genius Mel Brooks and opera singer Grace Bumbry. the arts. It's part of a living memorial to President John F. Kennedy. Jon Stewart opened the tribute to Springsteen, recounting his theory on how The Boss came to be. The Boss, seated next to her, even cracked a smile. with help from a choir. celebrated the group with a reception in the East Room of the White House before the show. The show will air nationwide Dec. 29 on CBS. 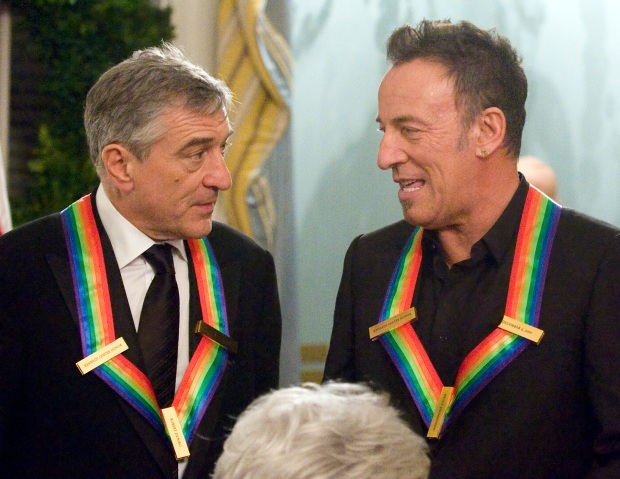 The honors were heartfelt for the 66-year-old De Niro. Meryl Streep opened with a tribute to her friend who she said was exacting with details as an actor, director and producer. "He did what I and my drama school friends dreamed of -- to disappear and morph into a (character),'' she said. 1961 when she was invited to perform in a production of Wagner's "Tannhauser.'' She would be the first black opera singer to appear at Germany's Bayreuth, a shine to the composer's work. Many conservative opera-goers were infuriated. But by the end of the performance, the audience applauded for 30 minutes and drew 42 curtain calls. Later, Jacqueline Kennedy invited Bumbry to sing at the White House. Bumbry, 72, said returning to meet Obama for the award was the highest honor she has received. checked at the door. On the red carpet Sunday, Katie Couric said she talked to the Salahis quite a bit at the dinner and joked that everyone is going to be on the lookout for party crashers. "I think security is a little tighter here,'' she said. Secretary of State Hillary Clinton. president's ear about the need for more federal funding for the arts. "I think when all my awards go to eBay, it will be the last,'' Brooks said of the Kennedy Center medallion before the show.